There is a thought that one should not tamper with something that is already great, but Land Rover did not take this idea to mind when creating the 2018 Range Rover. Fortunately, that fearlessness paid off, and drivers everywhere will benefit not just from a sharp new exterior aesthetic, but from a comfortable and luxurious interior that is elegant, refined, and better than it has ever been. From hand-stitched leathers and opulent finishing materials to ultra-luxurious optional Hot-Stone Massage seats to Executive Class rear seats, driving or riding in the 2018 Range Rover is an experience of the highest quality. For most luxury SUVs, the idea of a well-appointed interior is one that provides opulence without purpose. In the 2018 Range Rover, the interior builds comprehensively into the idea of providing a top-flight traveling experience—purposeful arrangement and the highest-quality craftsmanship make the Range Rover as much about substance as it is about style. A vehicle as dynamic and commanding as the 2018 Range Rover must perform up to its look, and five different engine options deliver. From two versions of the supercharged 3.0-liter V6 that deliver 340 and 380 horsepower to a mighty 3.0-liter Td6 Diesel, which delivers 254 horsepower and a massive 443 lb-ft of torque, to two iterations of the supercharged 5.0-liter V8 that put out 518 and 557 horsepower, power is not in short supply for the 2018 Range Rover lineup. Your 2018 Range Rover is multipurpose: in addition to providing curb appeal and building up your sense of pride and confidence, you also need it to provide versatility for everyday use and for special occasions. In all aims, the 2018 Range Rover is customizable through Land Rover Gear, which offers exterior and interior styling and protection options, hauling and towing equipment, and cutting-edge technologies. From sport pedal covers to deployable side steps, the new Range Rover is anything but one-size-fits-all with Land Rover Gear. Matching the bold look of the 2018 Range Rover is a lineup of engines that emphasize performance and balanced driving dynamics. 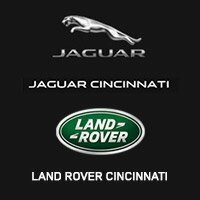 Call 513-791-1000 To Learn More about the 2018 Land Rover Range Rover.